Recently we did a photo shoot with Blue Ivy and Forevercandid Photography. 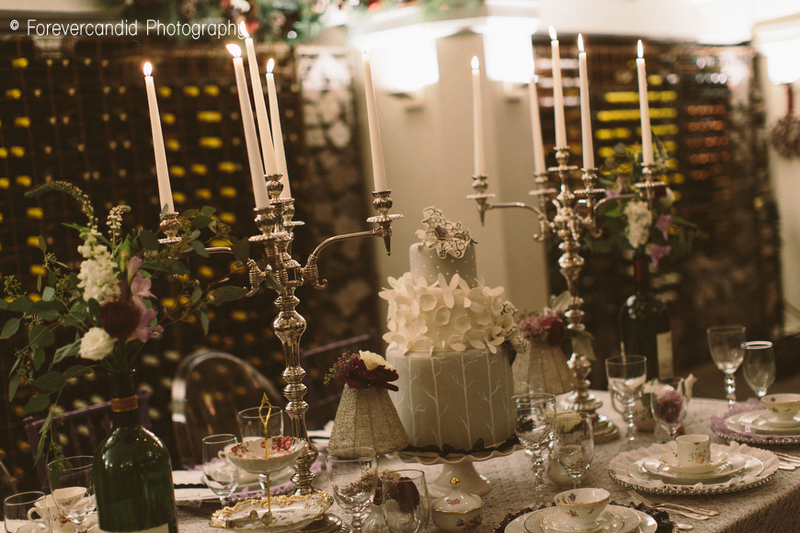 They did all the event styling and we provided the centerpiece cake. We love working with these ladies whenever we get the chance, our styles fit so well together. 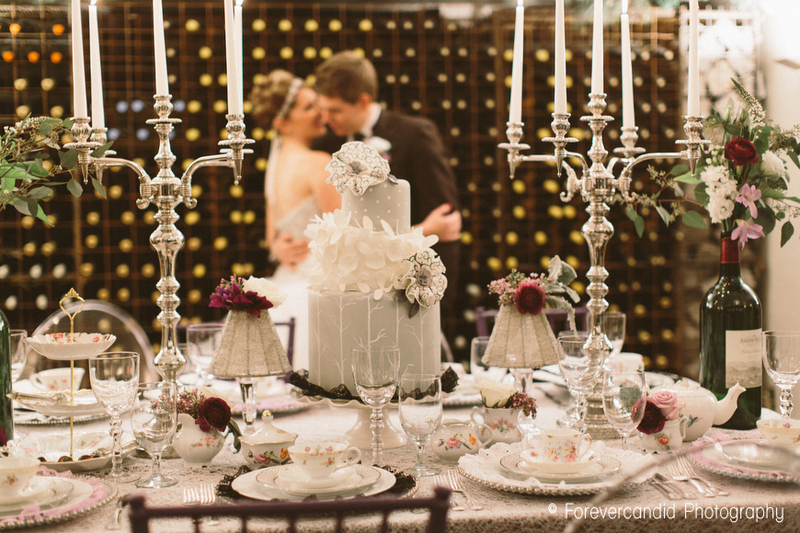 Enjoy these great photos from the Winter Romance wedding they created and set up in wine cellar. So lovely. 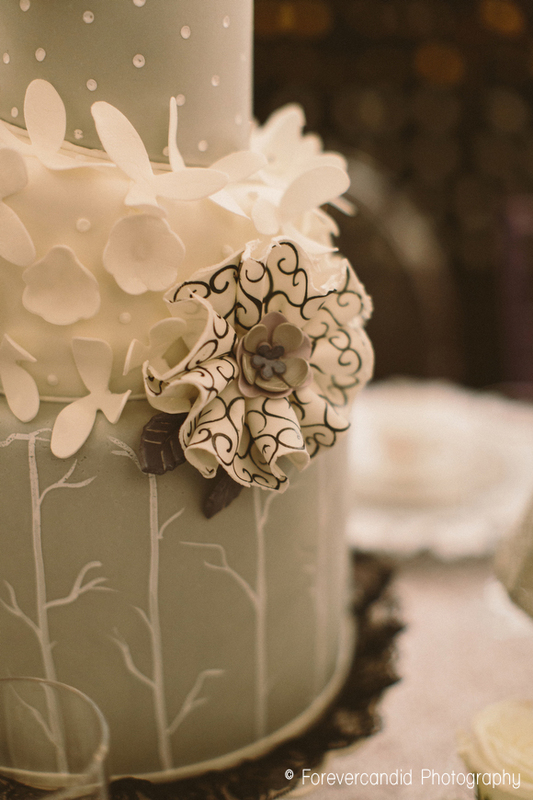 Beautiful cake for the event and great photos.